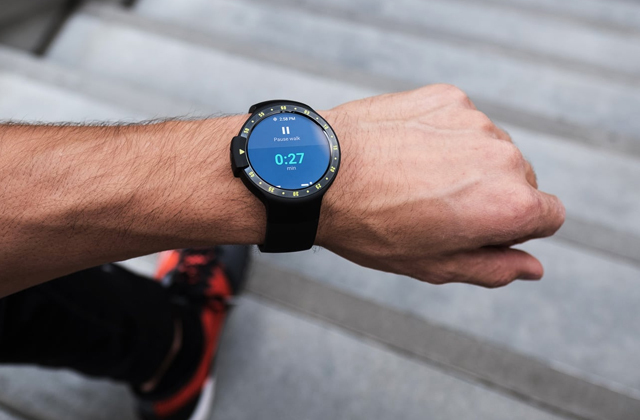 Fitness tracker function lets you watch the calories burn while you workout: choose the exercise type, set the beginning and end time of the training and see all of the necessary information on the screen. The included earphones are not exactly the best. This is the best MP3 player for active young people and travellers that can't imagine life without music. The sturdy IPx2 casing won't let you down even in the most extreme conditions. 3-minute quick charge function gives you a chance to enjoy your favourite music for 1.5 hours. The player can't be hooked onto your clothes. 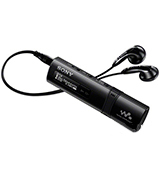 Pocket-sized Sony NWZ-B183F will become your musical assistant wherever you go, be it school, work, or jogging. FullSound technology provides rich sound even of compressed MP3 files. It takes 2-3 seconds to switch between songs. If you're looking for a traditional MP3 player without additional functions, the Philips GoGear Mix model will definitely come to your liking. 2' color TFT-display coupled with the 6-button panel provides intuitive and easy control. You can quickly set up the desired playback options. The aluminium back panel is prone to getting scratched: be sure to get a protective case or film. 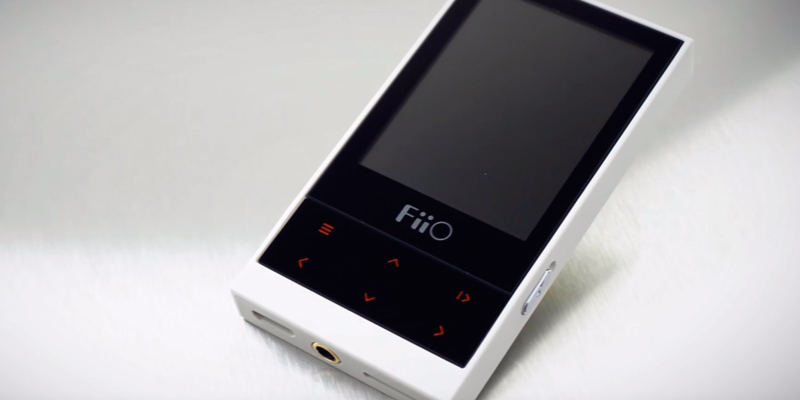 Great news for true music lovers: FiiO has made an MP3 music player that supports FLAC and APE formats to help you get fully immersed in the audio. The fully customizable equalizer can help you achieve the "correct" sound that fits your standards. The headset has a built-in microphone so you can answer incoming calls and talk comfortably without getting your smartphone out of the pocket. Bluetooth v4.1 supports up to two devices simultaneously. No built-in memory is available. This set contains 2 autonomous devices: a compact and easy-to-use wireless MP3 player and a functional Bluetooth-headset for your smartphone. This is a juicy offer that you just have to accept! If you’re going to spend your day listening to music on a portable device it makes sense to get one of the best MP3 players available for the optimal sound quality. The Transcend TS8GMP350B is unmatched by the competitors with its variety of useful functions and top notch execution. Anybody that loves music will see immediately why this device is so wonderful and why it can be the perfect choice for you. First off, the IPx2 casing on this model is extremely damage-resistant. Whether the player falls down, gets a bit of water on it or is shaken around in your pocket as you jog, the music will keep playing with no interruptions. Even if you decide to go hiking somewhere, you won’t have any issues, especially since the player can play music for up to 16 hours on a single charge. The manufacturer clearly knows that this is the perfect model for active people as a fitness tracker function is included for your convenience. You can input the type of exercise you’re doing, set the time and watch the calories burn as you get a good workout in. This way you won’t need any extra accessories for your gym routine or jogging. Plus, you can hang the player using the included neck strap to keep it close to you and watch it freely during your workout. 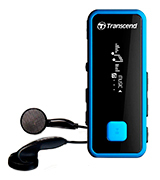 As with any Transcend MP3 player, this model provides great sound quality, playing MP3, WMA and WAV formats. All of these are the core formats that everybody uses and they provide good audio. The player even plays compressed MP3 files with stellar sound so you can save some space on those. 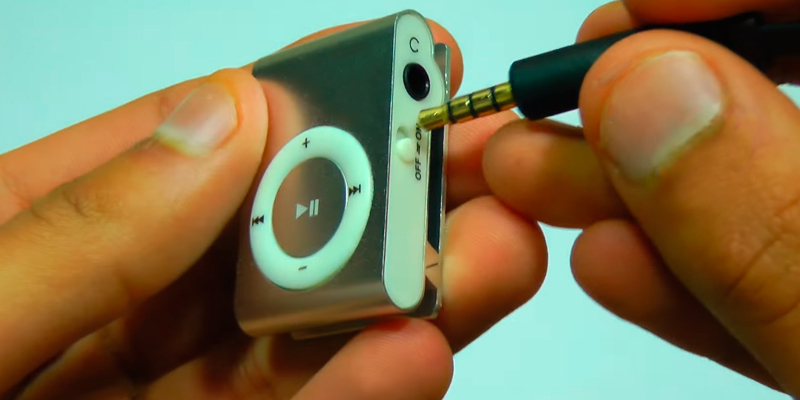 There is a whole 8 GB of built-in memory in this model, which is enough for more than 2000 songs. With a music library that big, you won’t get bored or have to listen to the same track over and over, just hit shuffle and get randomized tunes to lift your spirits all day long! However, do note that the earphones included with the purchase are really not the best and it would do you good to get a new pair to get the perfect sound quality. The device also offers the option to record voice or radio with up to 20 hours available on a single charge. Just put on the FM radio on your player and press record to get any songs you like straight to your memory. 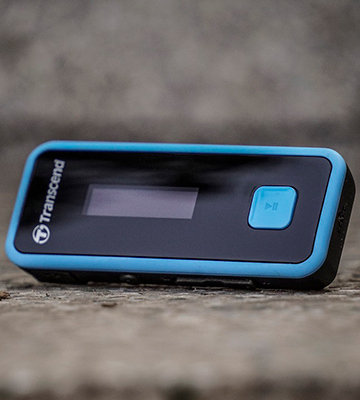 Overall, the Transcend TS8GMP350B is the best choice for an active music lover. The variety of extra features is enough for even the most demanding customer and the 2-year warranty will keep your mind free of worries, especially coupled with the super strong IPx2 casing. You can’t miss a wonderful gadget like this! If you’re always on the run and are looking for a simple and reliable MP3 player at the same time, consider the Sony NWZ-B183F model. Being as large as a lighter, it’s compact enough to fit snugly into your pocket so that you don’t even feel it's there. Although this music player supports only two formats (MP3 and WMA), they are the most popular ones so you can be sure you’ll be able to enjoy your favourite audio tracks. 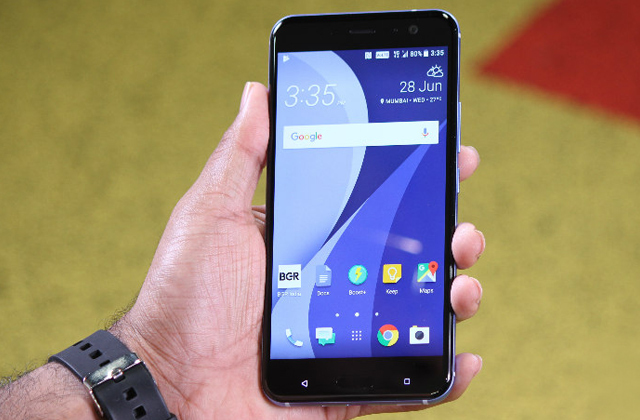 The device is furnished with the internal memory capacity of 4 Gb that suffices for approximately 900 songs. 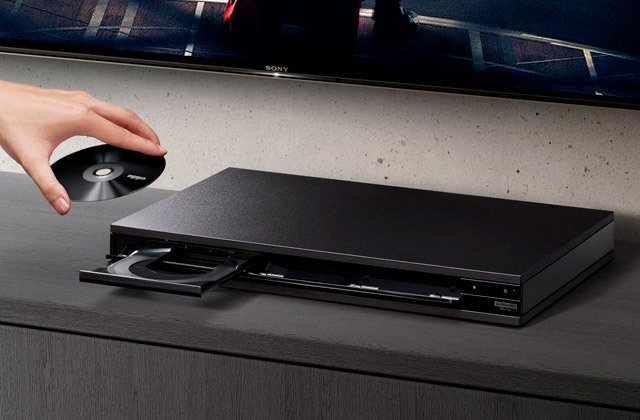 Note, that the player can run for up to 20 hours on a single charge. 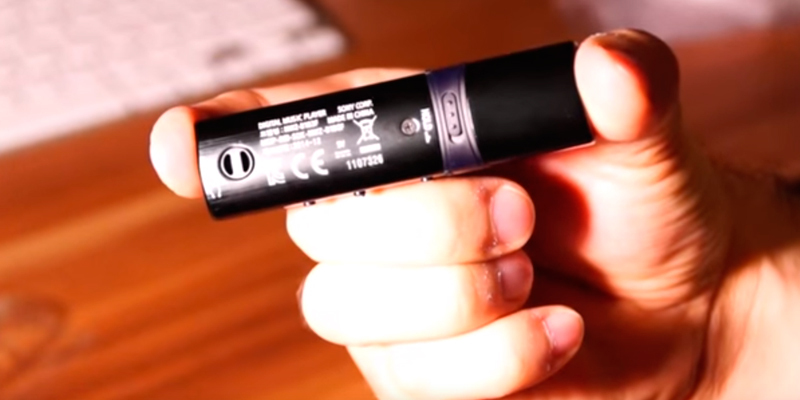 So, if you are contemplating a trip by a bus or by train, this device won't let you down! It will easily last and keep you entertained through the longest journeys. 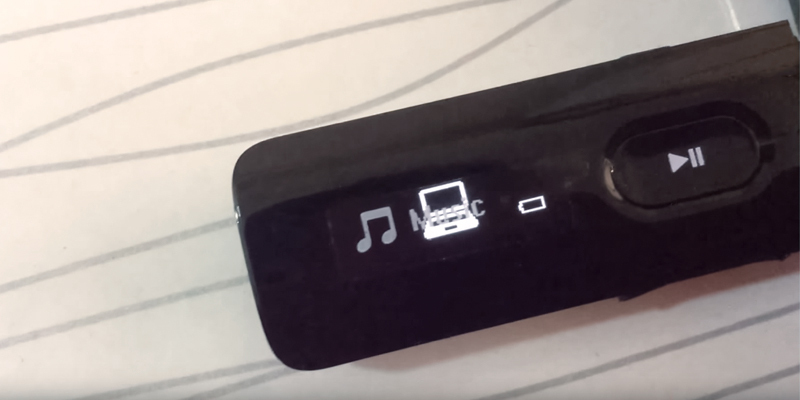 So, just charge your MP3 companion to the fullest and hit the road! If you are in a hurry, then we believe you will be very pleased with its quick charge option! A 3-minute charge can provide you with 1.5-hour music playback. Quite a convenient feature if you can’t imagine yourself without music even for an hour. And those of you who prefer Drum’n’Bass will definitely appreciate Bass Boost function that ensures rich bass sound and allows you to feel every low note of a song you listen to. If you get tired of the songs you've put onto the player, you can easily switch to listening to a radio thanks to the handy FM function. Moreover, if you hear a song that you like, you don't have to lose it among hundreds of others or rush to write down the lyrics so you can find it later. 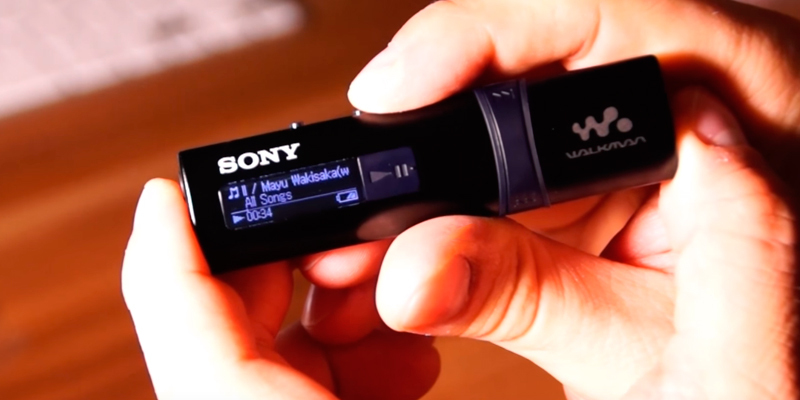 Sony has implemented a specialized tool that lets you record songs straight off FM radios. That way you get access to all-new tunes without the need to download them directly. The only thing you should be warned about is that this model cannot be clipped onto your clothes. That makes it a suboptimal choice to use for joggers but if you have zip-up pockets you can just put the player inside and close them, which will keep the device safe in your jacket or pants while you’re out for a run. Thankfully, the earphone cord is long enough so you can put the player all the way down in your pant pocket without damaging the earphones which would hurt the sound quality. 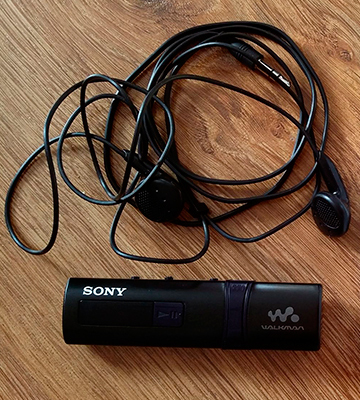 Overall, you always know that you’re getting a high-quality MP3 player when you’re buying a Sony Walkman. This device will provide you with crisp music that will soothe your mind or get your blood pumping. Any genre will sound good through this nifty gadget, so don’t hesitate to purchase it. Looking for a user-friendly device of a decent quality? Why not you take a closer look at the Philips GoGear Mix MP3 Player? 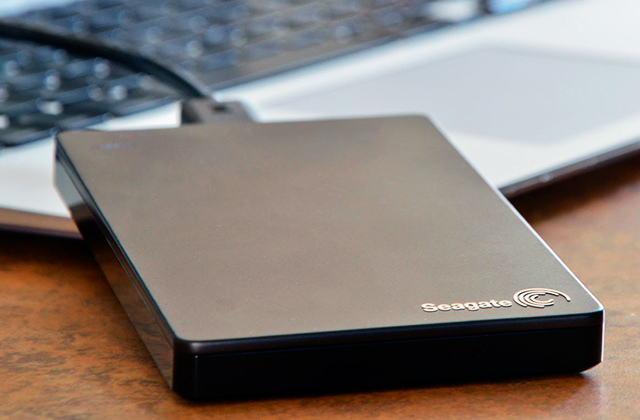 This compact device boasts 4-Gb capacity that is enough to store up to 1000 songs. 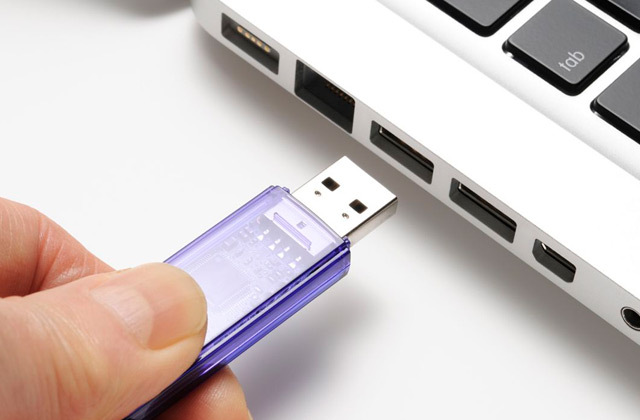 All you need to do to transfer music to the player is hook it up to your PC via a USB cable and simply copy the necessary tracks to the player’s internal memory. Once you start playing the music on the Philips MP3 player, you’ll be pleasantly surprised with the sound quality. The thing is the device boasts Fullsound™ technology that allows you to enjoy every note of any song, even if it’s recorded in a compressed format. In addition to great technical specifications, this player also has an elaborate design. To put it simply, it has a special clip on its cap so you can attach the player to your clothes and go jogging or work out in the gym, for example. If you’re always on the run, you will appreciate the quick 6 minute charge function on the Philips Gogear Mix. 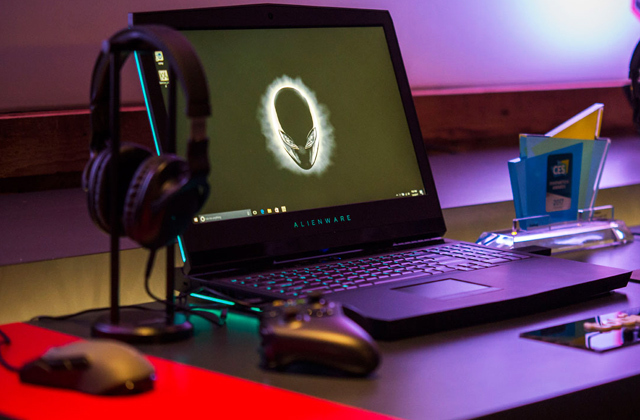 Using this mode, you can even hook up the player to your PC to download songs and, while you’re at it, the device will get a speedy boost that will last for several hours with no need for additional charging. And if you let the player charge fully, it will fill your ears with beautiful music for whole 10 hours, more than enough for a day out. This is a cheap model that still offers all of the necessary settings that a sound lover might need, including WAV playback. That format has a very high sound quality and is perfect for audio aficionados that value these parameters. It does, however, take about 2 or 3 seconds to switch from one song to another, so you’ll have to bear some silence in between, but that shouldn’t be too big of an issue. Plus, if you have something important planned and really have to remember it, you can use the voice recording function to leave a reminder for yourself about any events, ideas or meetings that you must keep in mind. The Philips Gogear Mix is a very solid choice for a modern music lover on the go, compact and portable specifically for your convenience. Clip it on and spend your day with music! True and experienced music lovers tend to slowly move over to more refined formats with higher sound quality. 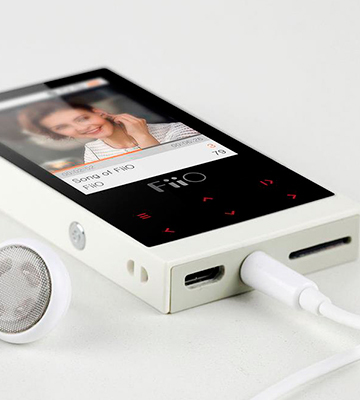 That is why you should consider getting an MP3 player that supports a variety of popular music formats, something like the Fiio FBA_0001236.WEISS. 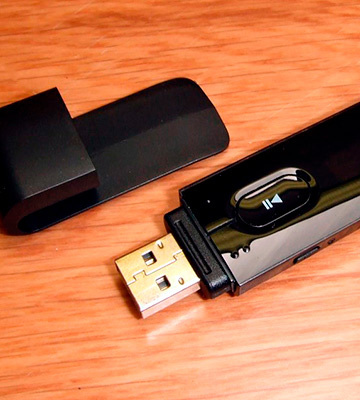 This device can playback a very wide variety of music files, unmatched by any of the competitors. Whether you prefer the standard MP3 and WMA or want to be able to listen to tracks in more obscure formats like OGG and M4A, this model will help you get the sound you’re looking for. Moreover, this is one of a few MP3 devices capable of playing APE and FLAC formats, the golden standards for high audio quality. These are uncompressed tracks where you can hear every note and every beat, uncovering all intricacies of your favourite songs. Not only do you get top-notch audio, the player will also let you listen to music uninterruptedly for a whole 24 hours. A day of music on a single charging session is a very admirable achievement that makes this device truly portable. You can spend the whole day away from home and never end up in silence without your music. A great solution for anybody to keep your long drives or walks interesting and fresh. Of course, an MP3 player is nothing without a good music library. 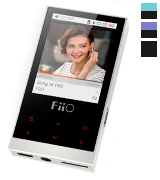 That is why the Fiio FBA_0001236.WEISS comes with 8 GB of internal memory and a microSD slot that supports cards of up to 64 GB, enough for nearly 2000 songs in high quality right away. And if you do get a microSD card, you’ll have so many tracks that you’ll never hear the same song twice, always having something fresh to listen to on your way to work or when you go out jogging. By the way, leading an active lifestyle is easy with this player thanks to the neck strap, which lets you hang the device on your chest and you won’t have to worry about it falling out of your pocket. You can run, workout at the gym or at home and listen to your favourite tracks all the while. However, do try to get a protective film or case right away, because the back panel of the Fiio FBA_0001236.WEISS is made of aluminium and can get scratched really easily. A simple cheap case will prevent that, though, so be smart and include it in your purchase. Overall, this is a solid pick for music lovers with an ear for high-quality uncompressed formats. No other device will play FLAC and APE formats as good as this one does. So, if you value sound quality, prioritize getting this model. If you like to get a great bargain without having to compromise on the quality of your purchase, you should really look at the Lambent i6S. 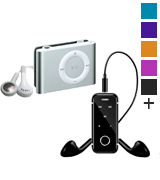 This wonderful MP3 player comes with a completely free Bluetooth earphone stereo headset that you can use to connect to your Android smartphone and any other phone operating system. 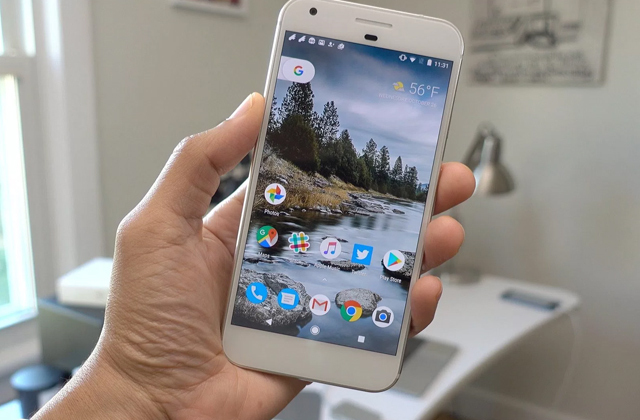 However, Android is the optimal choice for this specific model. The free Bluetooth headset has a built-in microphone that can be used to answer incoming calls without getting your phone out of your pocket or touching it. Press a button on the headset and the call comes through, no need for additional manipulations. 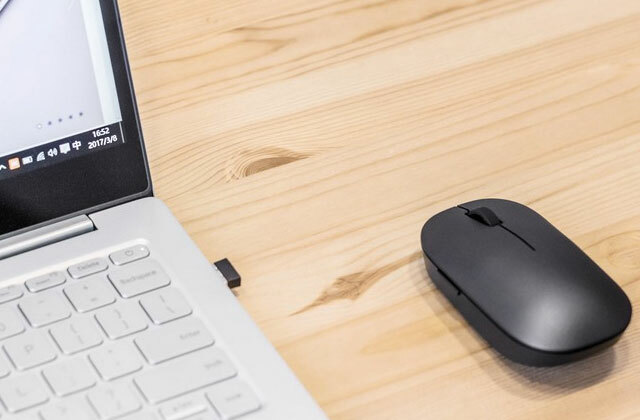 The up-to-date Bluetooth v4.1 lets you connect two devices at the same time, so you can link your phone and laptop simultaneously for added convenience. The control buttons on the headset are backlit so that even if you’re out for an evening walk you can still use it to control music playback or accept calls. A sports clip is included as well so you can go jogging without worrying about the headset falling off. And, of course, you get a set of earbuds so you can listen to music anywhere you want. The headset can work for up to 10 hours on a single charge, enough for a single day out. The Lambent i6S supports the most popular music file formats - MP3 and WMA, sufficient to play the majority of songs you can download. And you get can get quite a lot of tracks because the device has a microSD slot for cards of up to 16 GB. That is enough for nearly 5000 songs, a huge music library that will allow you to cover a variety of genres. That way you’ll be able to listen to any song you want without having to delete some to make space. Do note, though, that you have to get a microSD card right away because this model has no built-in memory. You can only play music after getting a card into the slot. A single charge will let you use the Lambent i6S for 15 hours at a time. That’s pretty much the whole day minus the time you take to sleep, so you can spend a workweek listening to your favourite tracks every single day. The player itself also features a sport clip that you can use to attach the device to your clothes. That way you can go jogging, workout at the gym, wear the player on the crowded public transport and enjoy the music wherever you go and whatever you do. The 1-year warranty should help you solve any issues that you might face and free your mind of worries. The Lambent i6S is a decent choice elevated by a great bargain. 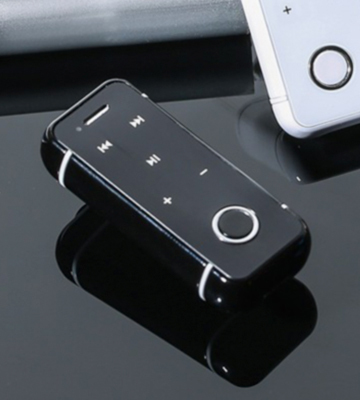 Get this MP3 player to receive a wonderful free Bluetooth headset and keep your hands free. An MP3 player is a small electronic device designed for playing audio files. 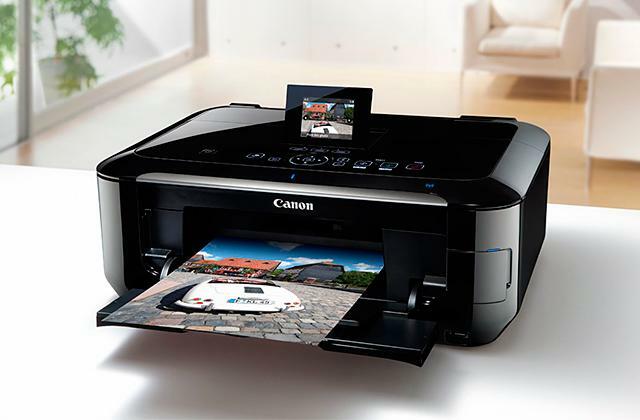 Despite its name, these gadgets can often support other popular types of media files such as MOV or JPEG. 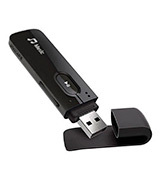 MP3 players are usually highly portable, compact, lightweight, and convenient. 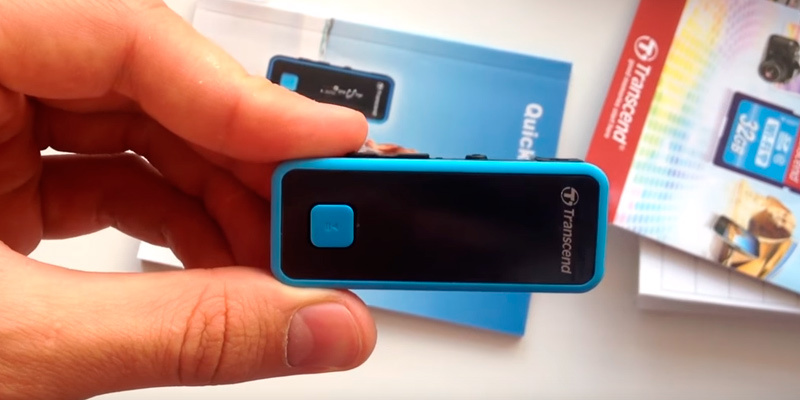 Feel free to throw this user-friendly gadget into your pocket or clip on to your clothes and you can easily forget that it is even there, while jogging, working, or doing any other mundane daily tasks. 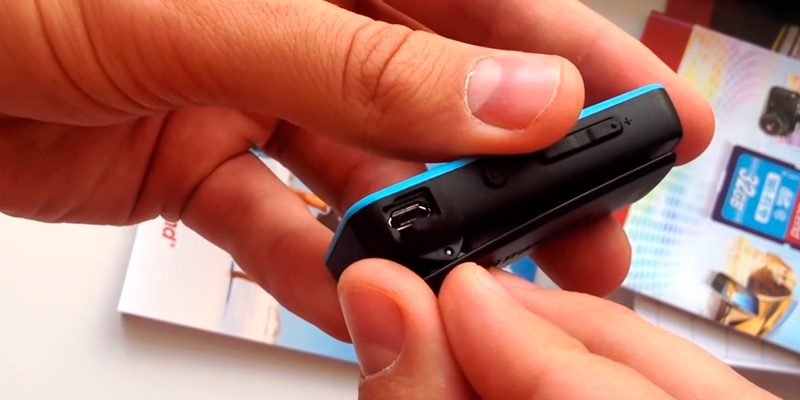 They work on internal or replaceable batteries and use headphones. Besides, people are increasingly used to hook such players up to their car's sound system or even home stereos. The majority of these devices also support FM radio, voice recording, and video playback. Audiophiles might also be interested in purchasing a new wireless Bluetooth headset to enjoy a better sound quality and improve their audio listening experience. While choosing a good MP3 player firstly it is advised to consider the range of supported formats. There is no doubt that all of these devices support MP3 audio files. But what if you have a track in another format? Besides, some MP3 players can even play videos, so you should know what files you will be able to run. Another important criterion is a battery run time. Nowadays, it is not convenient to use a device that runs only for 2-3 hours on one charge. 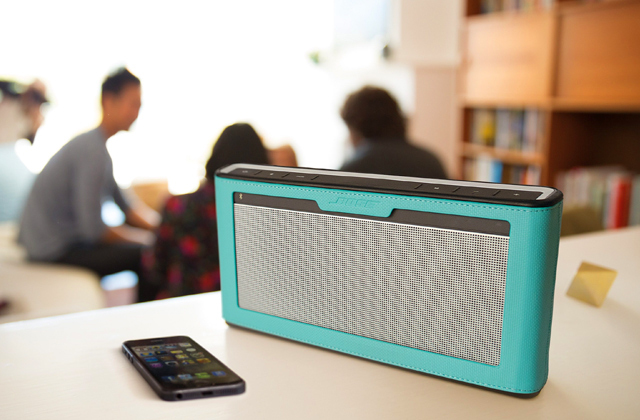 30 or 40-hour battery life is good enough for your hassle-free listening experience. One more point to look for is its memory capacity. 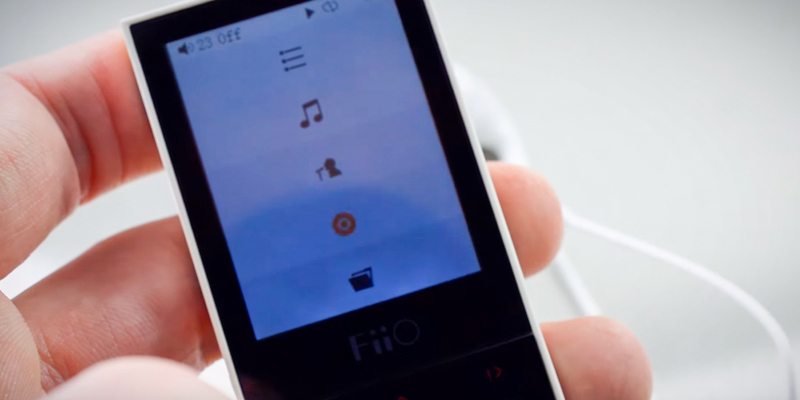 You should have an idea of how many songs your MP3 companion will be able to accommodate in its internal storage space. Check as well, if it’s possible to expand the device's memory with an appropriate SD card. Last but not the least fact to consider is the usability features. 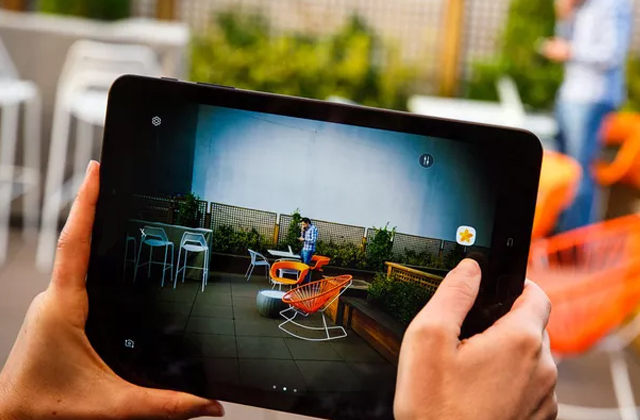 We advise paying attention to the functionality of its buttons and control panel, the practicality of the design, the ease and convenience of navigation through the music folders, as well as the clarity and readability of the gadget's display. Shockproof and water-resistant housing, the presence of a camera, or a possibility of voice recording are extra options that may also be of some importance to you but they will certainly cost extra. Q: What is an MP3 player anyway? A: As you most probably know from your own experience, an MP3 player is a portable digital device intended for playing music and audio files stored in a built-in memory or a memory card and outputting the sound to your headphones. However, over the last few years, such devices have evolved from simple small MP3 players that support a few music formats equipped with minimalistic monochrome displays to versatile digital devices with a comprehensive support of sound formats, wireless connection, colour touchscreen, rich connectivity capabilities and other advanced features. These modern gadgets are often called DAPs (digital audio players) with no sharp distinction between the two. Q: What is the difference between various MP3 player models? A: While the basic functionality of playing back your music remains the same for all the MP3 players, they may significantly differ in advanced features. For the players, the number of supported file formats may range from mp3 and WAV to a list of all the popular lossy (i.e. mp3, OGG, AC3) and lossless (FLAC, ALAC, APE) formats, including the so-called high-resolution files (with 24 bit 192 kHz and higher sampling rate). Moreover, with powerful hardware, large screen and advanced software implemented latest MP3 players can play various video digital content, which turns some of them into best portable media players. Some models support voice recording, offer an SD/micro SD cards support in addition their built-in memory. 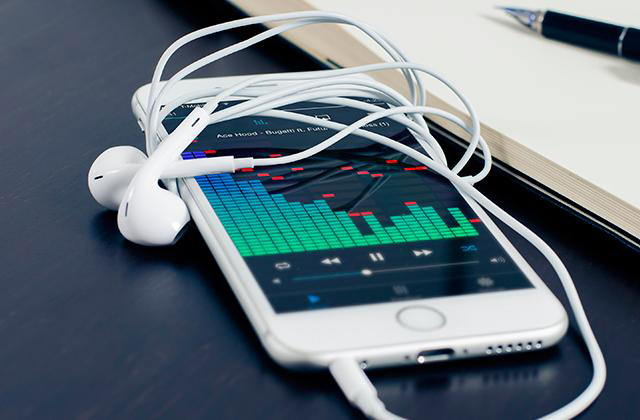 The time you can listen to your music on a single charge or without replacing the battery also varies for different digital players depending on the battery used. With that, the best portable mp3 players offering 20 and more hours of continuous music listening. 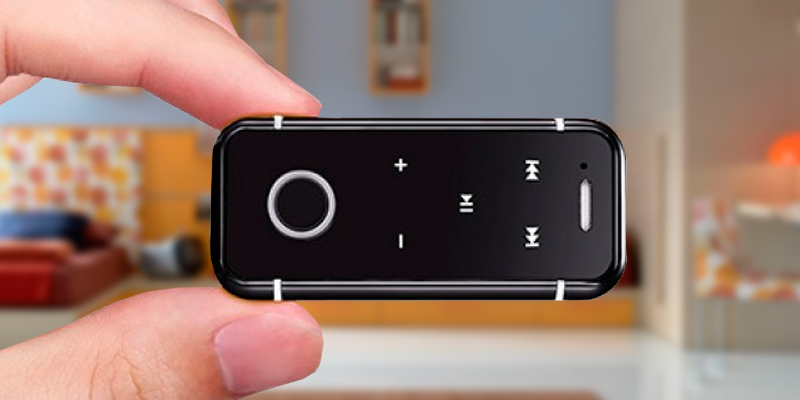 However, this parameter may be two times smaller for really high-quality MP3 players equipped with high-performance audio circuitry able to drive high-impedance headphones and delivering an outstanding listening experience. Q: Why do I need an MP3 player when my smartphone can play audio? A: Aside from a better portability, good MP3 players usually offer a better sound performance, thus making listening to your music more exciting. Another factor one needs to keep in mind is that using a separate player for your music prevents your smartphone battery from discharging much ahead of time. Q: What are most common MP3 player use scenarios? A: Though MP3 players are used mostly on the go, you can use these devices as analogue sound sources for your car or home stereo system. However, when connecting your music to an acoustic system keep in mind that you need to use an amplifier to drive your speakers as even the best quality MP3 players are designed to drive headphones only. Q: What headphone/earphone types can I use with my MP3 player? A: It really depends on the player output power, which usually is specified by the manufacturer. Though most of the modern earphones and headphones are easy to drive, the specified player output power may be higher than the actual one due to different factors. That is why we recommend judging the audio performance of a specific player with specific headphones only based on your personal listening. 1. Donald Bell MP3 Player Buying Guide, CNET July 2, 2013. 2. How to Choose an MP3 Player, wikiHow. 3. Wendy Sheehan Donnell How to Buy an MP3 Player, PCMag. August 8, 2013. 4. 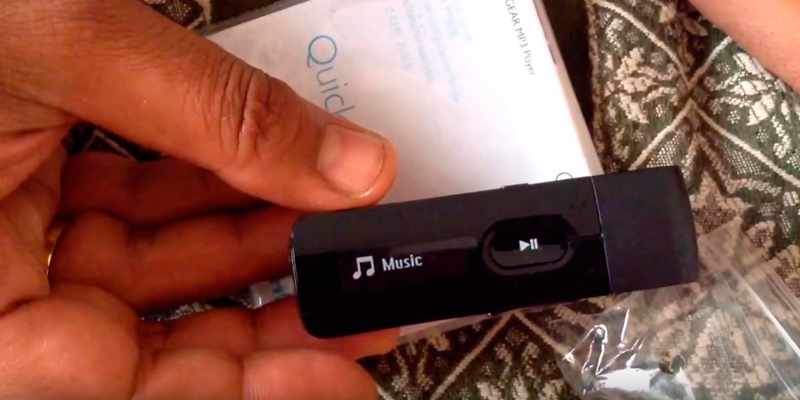 7 Features to Look for in MP3 Players, eBay. July 20, 2013. 5. Adrian Adams 5 Things To Look For When Choosing an MP3 Player, Streetdirectory. 6. 10 Common Audio Formats Compared: Which One Should You Use? MakeUseOf. 7. What’s the Difference Between All These Audio Formats, and Which One Should I Use? Lifehacker. 8. Comparison of audio coding formats, Wikipedia.